Between 8-26 November 2016 head chefs from 13 famous restaurants from cities around the world will spend a week cooking in Tel Aviv as part of a PR initiative to bring international prestige to Israel’s culinary scene. 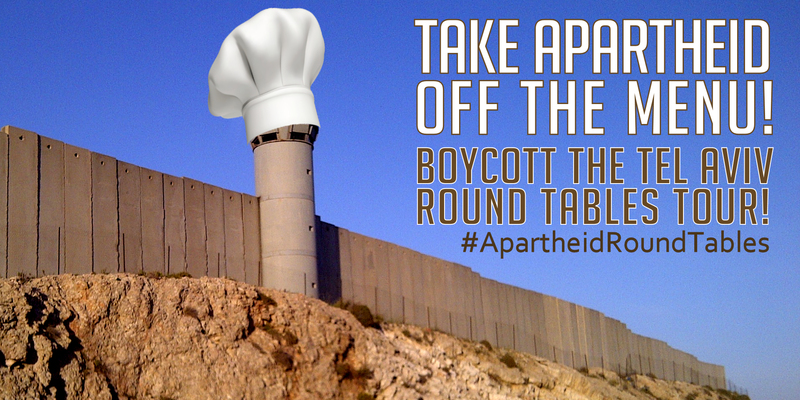 The Round Tables culinary show is sponsored by Israeli government ministries, the Tel Aviv Municipality and businesses operating in illegal Israeli settlements. Civil society groups from these countries have appealed to the chefs to cancel their participation in this whitewash exercise and to Italian sparkling water bottler Ferrarelle to withdraw sponsorship. So far none of them have taken the step. The initiative is even more tasteless as Israeli settlers ramp up attacks against Palestinian families gathering for the annual olive harvest and the Israeli army continues to impose a cruel siege on Gaza, pushing unemployment to 47 per cent - the highest rate in the world. 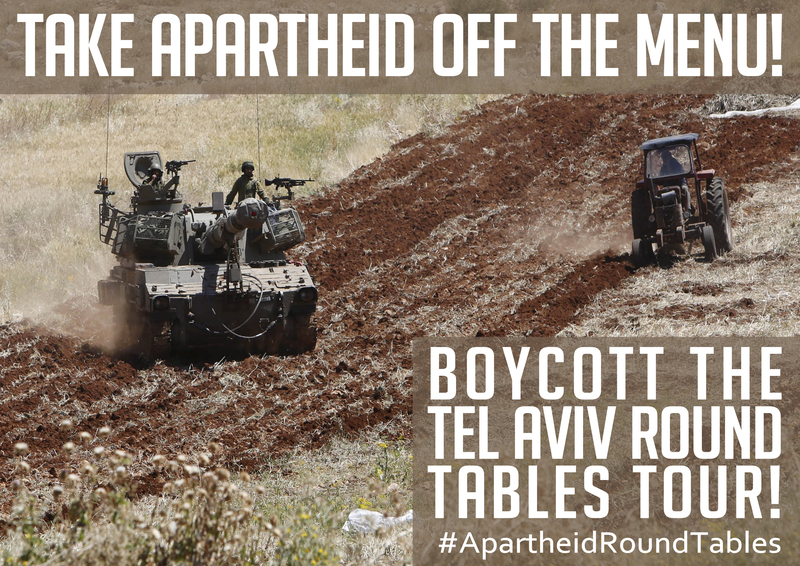 #ApartheidRoundTables to whitewash Israel’s crimes against Palestinians. Do not be complicit. Cancel your participation.